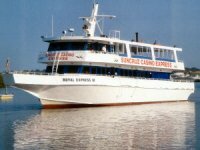 SunCruz Port Richey casino cruise ship has a 13,000 square foot casino with 325 slots, 13 table games including craps and roulette. High speed shuttle takes you to the mother ship anchored two miles off shore, so you can stay as long as you want. 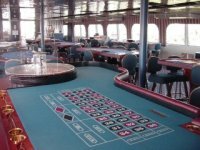 Table games: All the popular table games including craps and roulette.